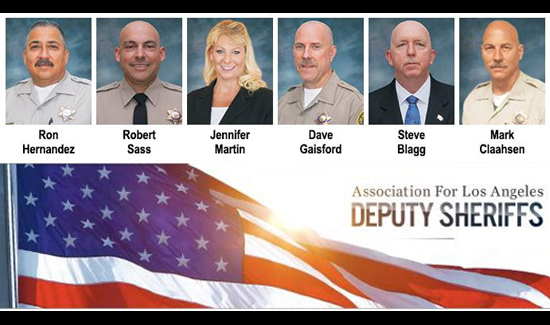 ALADS has always been in support of hiring the best candidates possible to be deputy sheriffs and district attorney investigators. We are proud to represent more than 7,900 deputies and district attorney investigators who reflect the racial diversity of Los Angeles County. The Sheriff’s Department’s diversity has contributed to the department’s success of ensuring the safety of residents and building trust in the communities it serves. Continuing this success is dependent on attracting candidates of every race, who are of the highest caliber, to become Los Angeles County deputy sheriffs. In the waning days of the Obama administration a joint report has been released by the Department of Justice (DOJ) and the Equal Opportunity Employment Commission (EEOC), recommending hiring practices to increase racial diversity in police forces across the country. These hiring recommendations include ignoring criminal convictions, disregarding past drug use, and lowering standards on written, physical and psychological exams. The authors of the report demonstrate the maxim that “those who cannot remember the past are condemned to repeat it.” Past efforts by law enforcement agencies to lower hiring standards in a manner suggested by the DOJ and EEOC have ended in disaster for those departments. We offer just three such efforts as an example. In 1980, following the Mariel boatlift, the Miami Police Department was pushed by the DOJ and civic leaders to add minority members to its police department, with a goal of 80%. Hiring standards were lowered, and the result was an enormous police scandal. Over the next 15 years nearly 10% of the Miami police force, many of them newly hired under lowered standards, were suspended or fired for criminal conduct while police officers. Twenty of the officers were sent to prison for the crimes they committed. In 1998, the US General Accounting Office reviewed the various scandals, and amongst their recommendations was raising employment standards. Washington, DC repeated the experiment with lowered hiring standards in the 1990’s, and once again the result was abysmal. In 1989, the city shortened background checks and lowered standards to hire 1,500 officers, with nearly 1/3 of those hired having criminal convictions. One recruit was highlighted by a subsequent Washington Post expose: “Two ambitions drove Charles Smith in the summer of 1989. The first was to up his income as a member of the R Street Crew, a murderous drug gang. The second was to join the police force. By fall, Smith had achieved both.” Needless to say, Smith was soon behind bars for selling PCP while a police officer, joined by nearly 200 members of his class arrested for crimes as homicide, robbery, theft and perjury. More than 100 others were not allowed to make arrests, and dozens were so tainted by criminal problems that prosecutors refused to call them to testify. The examples above demonstrate why hiring standards for law enforcement should not be relaxed. Hiring physically unfit, illiterate criminals with potential psychological problems in the name of diversity has proven to have disastrous results. The way to increase diversity is not to relax sound standards, but to make law enforcement a desired career. The opportunity for employment in a rewarding profession where you serve and protect others, with competitive pay and benefits, promotional opportunities and a secure retirement after a career of service as compensation, is the true path to attracting a diverse group of qualified candidates for the police force. 1 Comment on "Feds Seek Repeat of Disastrous Police Hiring Practices"
In the 1960’s the San Jose Police Dept. entered into a Consent Decree to settle a Federal lawsuit filed by minority organizations. That Consent Decree mandated hiring of an entire academy class of minority applicants under reduced hiring standards. At the end of the first year, only one of that academy remained employed as a SanJose Police Officer. I can’t recall if criminality was involved but I do recall that those candidates could not perform the essential tasks of a Police Officer such report writing and acceptable work habits.